Computer & devices icons / natura. Vector icons for your website or presentation. Search button computer keyboard with magnifying glass Internet concept. Computer icons, gaming devices. vector for used. 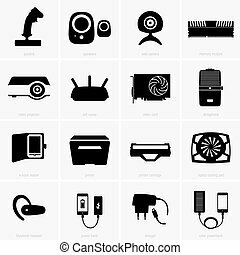 Computer and Devices Vector Icons Set. Vector buttons for your website or presentation, EPS 10 - Transparency effects.